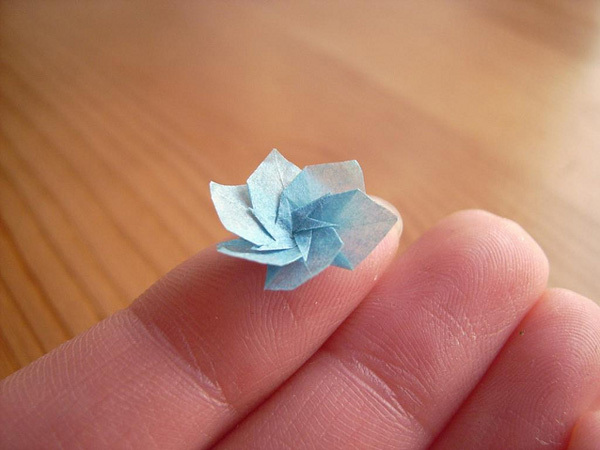 Regular size origami is just impossible to me, so I guess that’s why I find these nano-paper-wonders created by Anja Markiewicz simply fascinating. 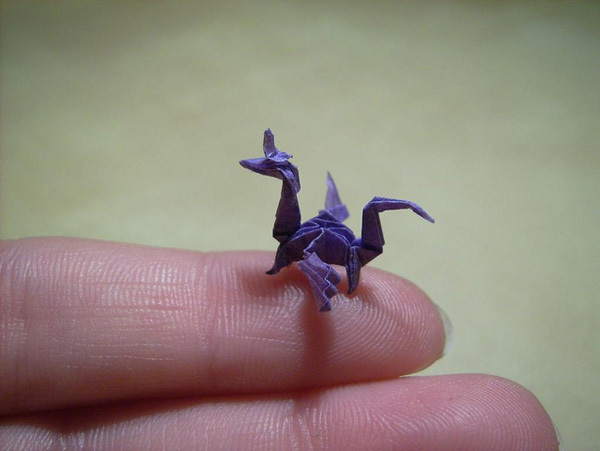 We’ve featured some pretty impressive examples of origami, including the paper miniatures of Mui-Ling Teh, and the miniatures Anja Markiewicz creates are a welcome addition to our collection. 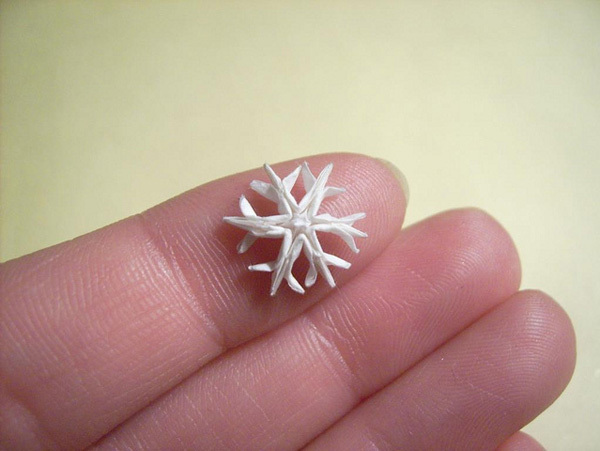 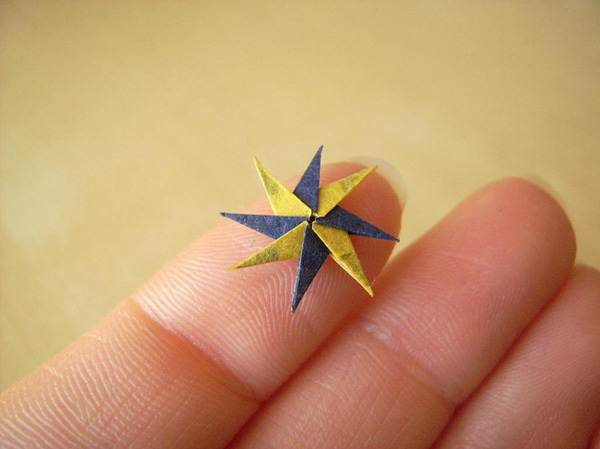 She painstakingly folds almost invisible pieces of paper into beautiful origami artworks only a few millimeters in size. 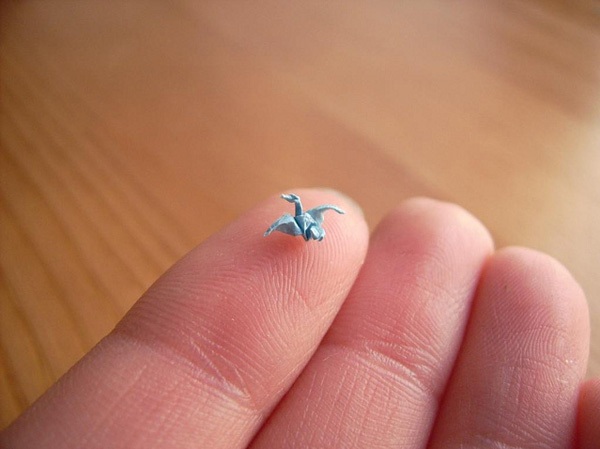 The fragile animals born from her hands – horses, dogs, swans and others – can rest on her fingertips and require a magnifying glass in order to be fully appreciated. 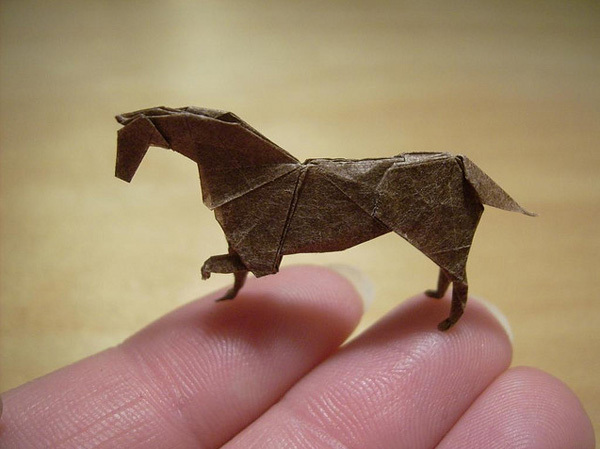 Her vast portfolio of origami artworks includes animals, fairytale creatures, cars, snowflakes, flowers and lots more. 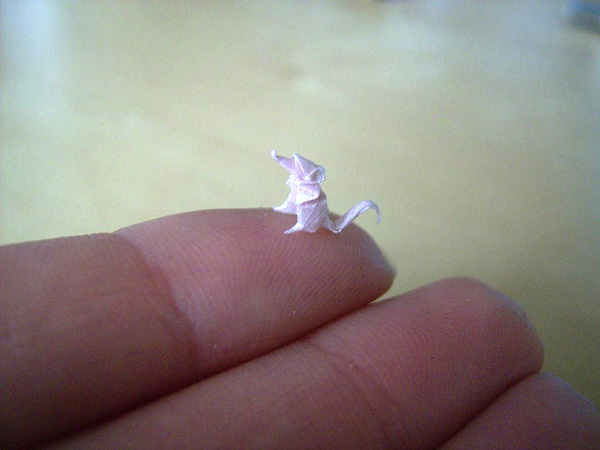 I’ve posted a selection of her most beautiful works but you can check out her entire collection on Flickr.